The Acorn School of Charleston is a non-profit organization in South Carolina. The Acorn School has been granted 501 (c) (3) status by the Internal Revenue Service. The school currently offers a mixed-age kindergarten for children ages three through six. Our goal is to grow into a grade school in the coming years. Our teachers are dedicated to fostering a genuine love of learning in each child. 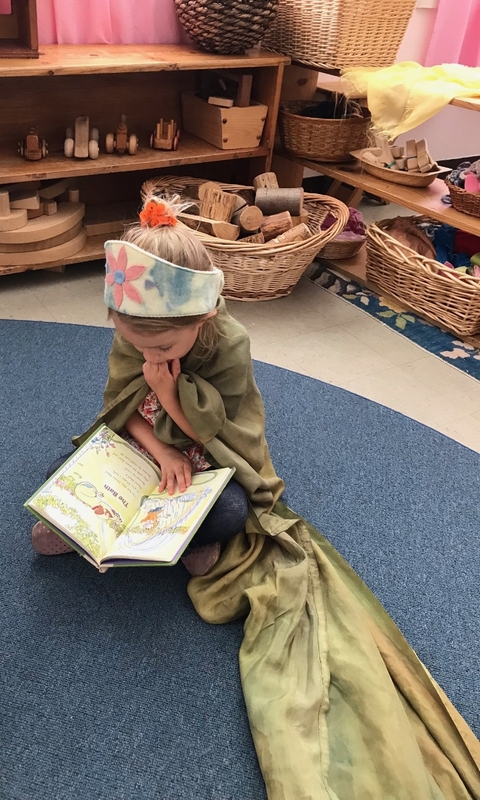 We are inspired by Waldorf education, an approach created by educator, scientist and philosopher Rudolf Steiner, designed to respond to children’s developmental phases and nurture their imaginations. His educational aims were to encourage creativity, innovation, freedom of thought, stewardship of the natural world, and care for human community." Waldorf schools develop many types of intelligence. In the examples below you can see the blend of academic and artistic skill that inspires the work we do at The Acorn School.